Growing acceptance— A report from Pew Research found that 62 percent of Americans support marijuana legalization. As a result, customers and job candidates may not be attracted to businesses with strict drug-free policies. Opioid epidemic— The widespread and dangerous use of opioids have led many state governments and businesses to consider medical marijuana, which can also relieve pain. However, each state has different regulations for how medical marijuana is paid for and businesses need to examine their local laws. Workplace drug screenings— Positive tests for marijuana increased by 4 percent in the general workforce from 2016 to 2017, according to Quest Diagnostics. Positive tests after a workplace incident can be difficult scenarios for employers, since tests can’t accurately determine impairment levels or when the drug was taken. 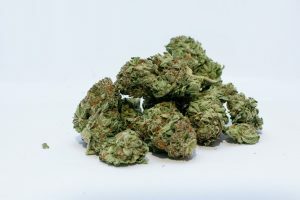 Workers’ compensation— Recent court cases have found that employers may have to pay for employees’ medical marijuana through workers’ compensation plans. However, individual states continue to set their own regulations and some may give businesses or insurance carriers the option to provide or deny coverage at their discretion.